Whiplash is one of those injuries that is highly contested. Insurance claims adjusters will try to say that you are exaggerating, and defense attorneys will do whatever they can to make you seem like you are out for free money. The reality is that whiplash is hard to diagnose, which is why it is easily contested. While it is difficult to diagnose through traditional diagnostic scans, it is not impossible. Therefore, if you have a whiplash injury from a motor vehicle accident, your attorney can still prove it. Whiplash is a common motor vehicle accident injury that occurs when your back and neck are violently whipped back and forth. When the nerves, tendons, and ligaments of these areas exceed their usual range of motion, it can lead to soft tissue damage. Soft tissue injuries are not found on x-rays or MRIs, but they are debilitating all the same. You could suffer other effects aside from discomfort in the injured area, such as headaches, back pain, and insomnia. Your doctor’s testimony. The most persuasive evidence is the testimony that comes from the physicians treating your whiplash. They can go through their diagnostic process and tell the court how they diagnosed your whiplash, treatments, symptoms, and prognosis. Your prescription medication history. 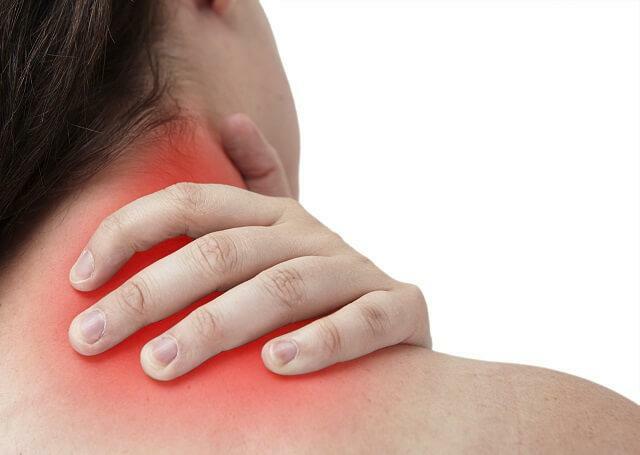 Whiplash leaves stiffness and pain in your neck and shoulders. Your physicians might prescribe muscle relaxers and pain-relieving medications to combat those symptoms. Submitting your prescription medication history as evidence can help legitimize the doctors’ claims that you were in pain. Testimony from relatives living with you. Relatives, during a deposition, can testify about how the injury has affected your life. Police report. While the police report is mostly considered “hearsay” in courts, you can use the information about approximate speeds traveled to prove that it is likely you suffered whiplash. Also, if your vehicle was at a dead stop and you were rear-ended, that would increase the likelihood that you suffer whiplash. Accident recreation showing victims. An accident recreation that shows the impact’s effect on the victims inside each vehicle can help prove whiplash. Regardless of how you got whiplash, if it was potentially caused by someone else’s fault, you may be entitled to compensation. Explore your options by speaking with an injury advocate at Van Sant Law,. We offer free consultations – there is no obligation to hire us, even after you meet with us. Furthermore, we have advocates on call 24 hours a day, seven days per week. Schedule your free consultation now by calling our offices at 404-991-5950 or contact an attorney online.